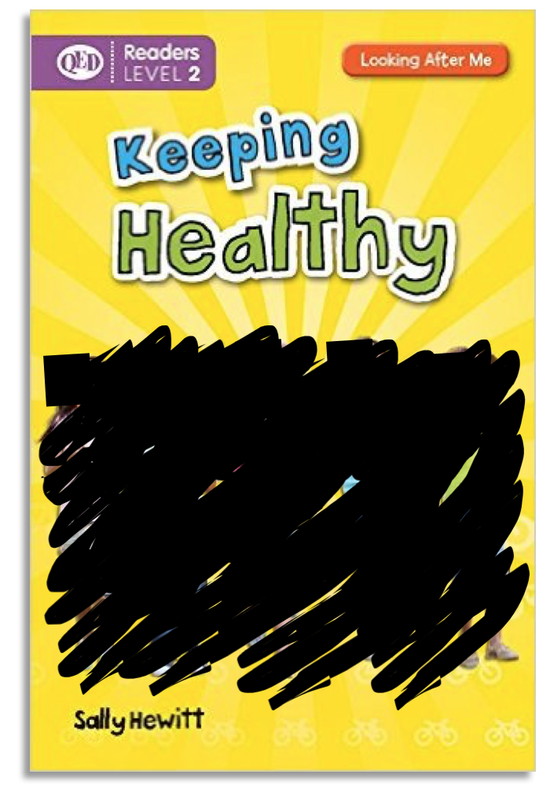 Amongst many of the subjects we introduce and teach in homeschool, ‘Health and Fitness’ is an important subject which provides opportunity to build both physical confidence as well as healthy eating habits. This also enables children to build good character; children can learn discipline, respect, leadership and fairness to name a few. Health can be understood in many ways, from the health or the body, heart and soul. 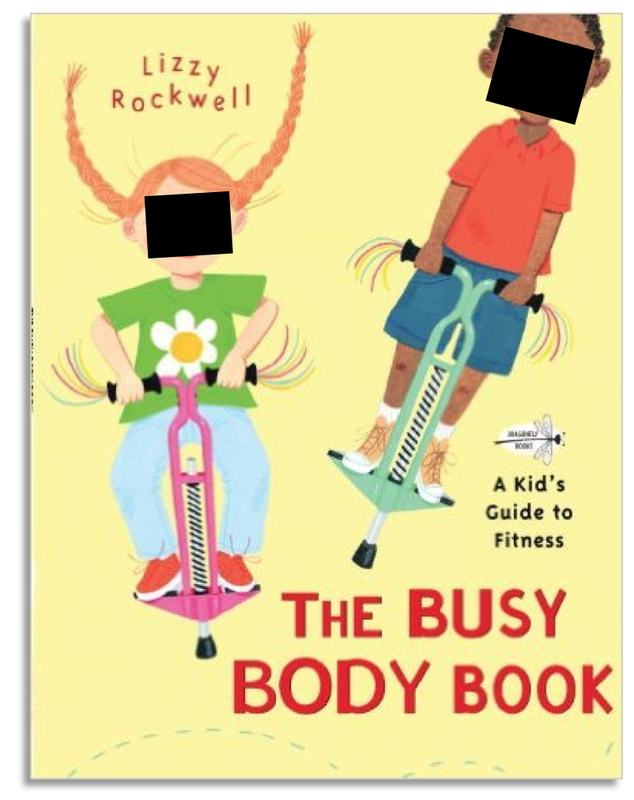 The purpose of this post is to dicuss about the health and fitness of the body. 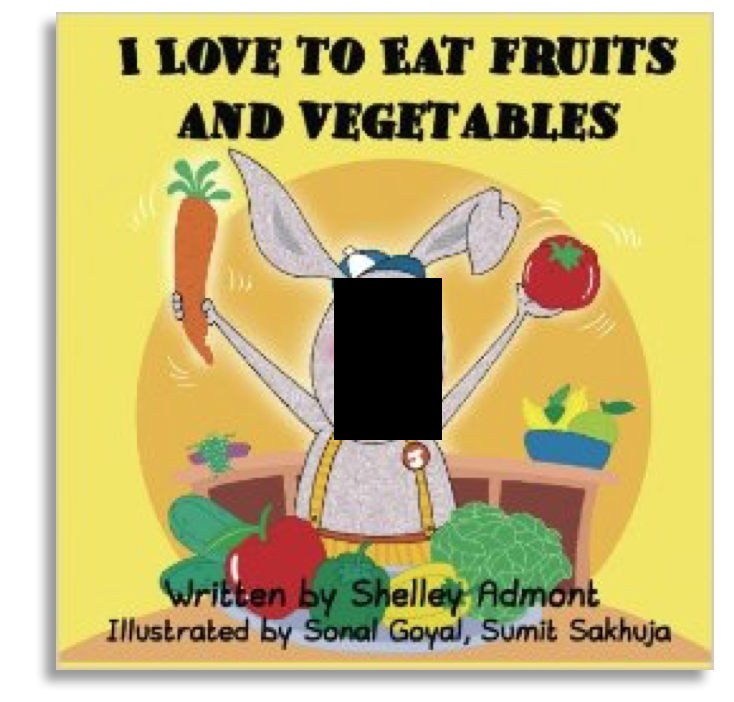 When introducing the health of the body, it is important to consider teaching healthy eating habits as well as what different foods can do to the body (short-term and long-term) etc. Learning about it is essential and implementing it ourselves is proven to be the most effective and quickest way to teach children generally. 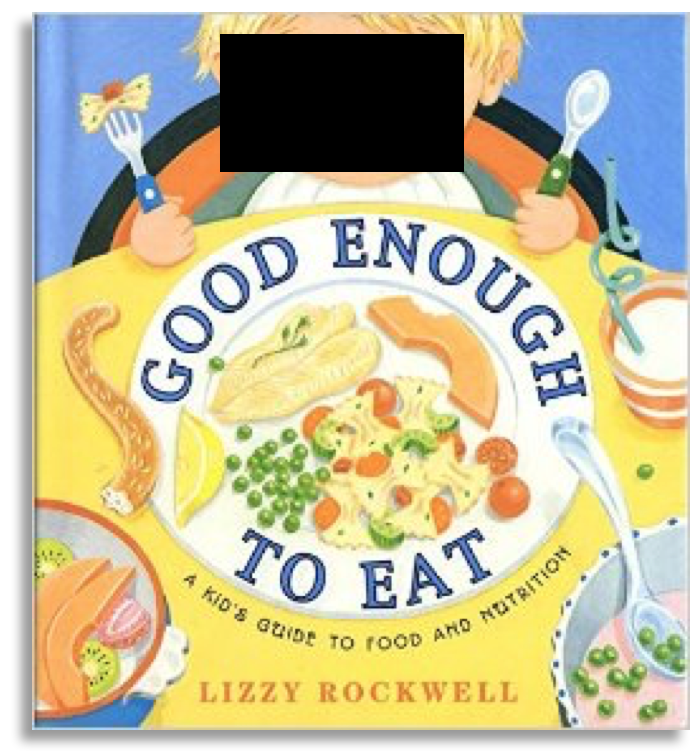 Children learn by example and they eat what we eat. So, whether you’re eating healthy or not, chances are that they are already following in your footsteps. When introducing physcial activity, it’s also important that we allow our children to engage in a variety of activities daily for a sufficient amount of time. 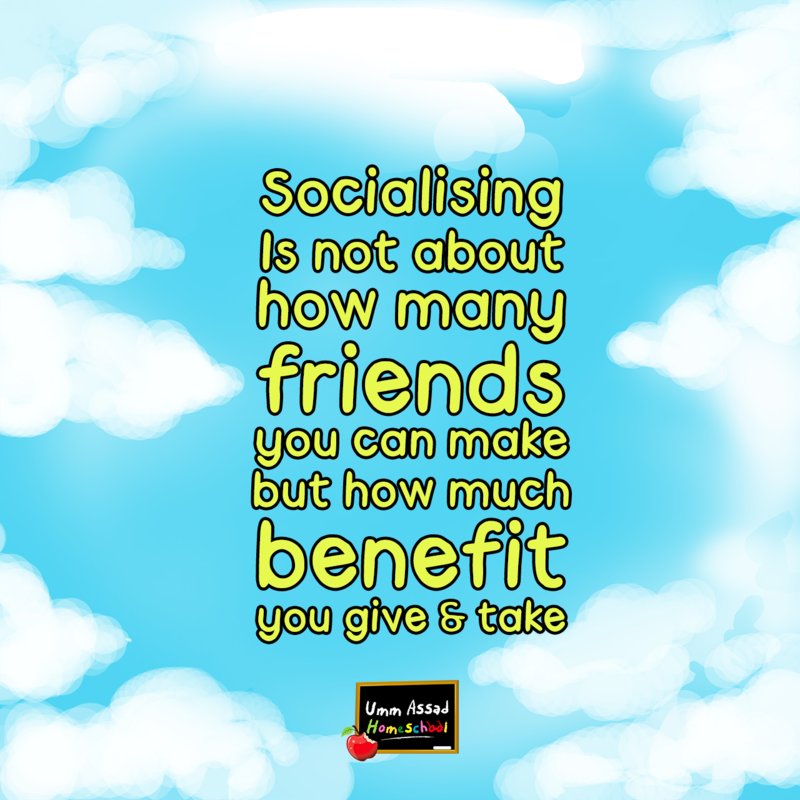 This can be done individually, in pairs or in groups. Below are a few reading books that I personally recommend adding to your homeschool collection if you are able. Please share with us your collection in the comments below and check back as we may add to this collection over time inshaAllah. 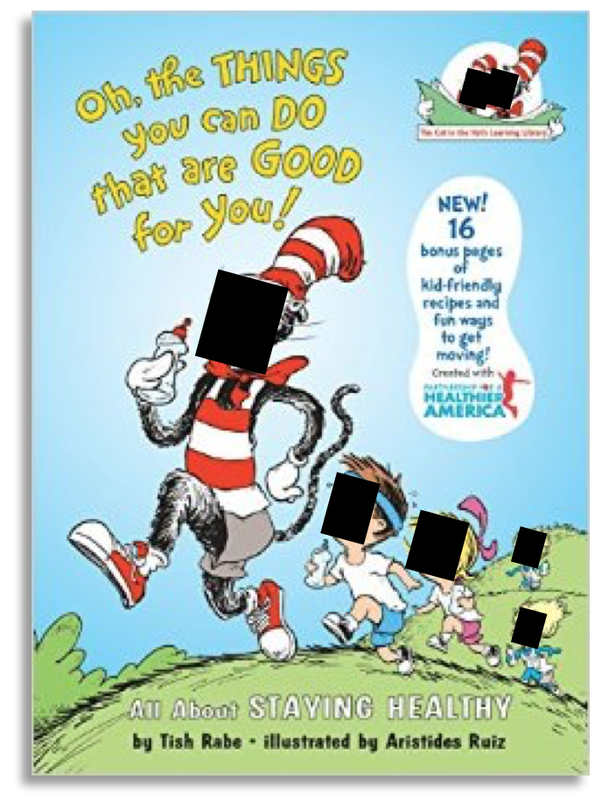 Also be warned of picture making within the books. Jazaakom Allahu khair wa Allahu aalem! 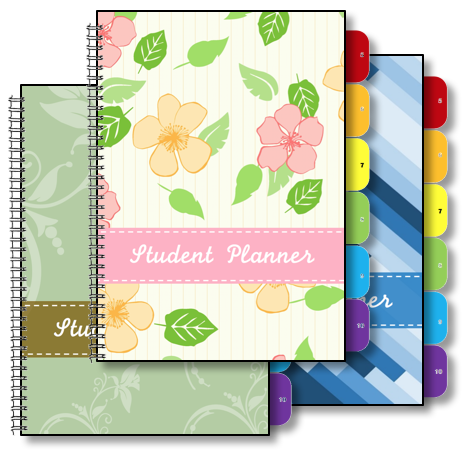 A FREE Planner made especially for students. 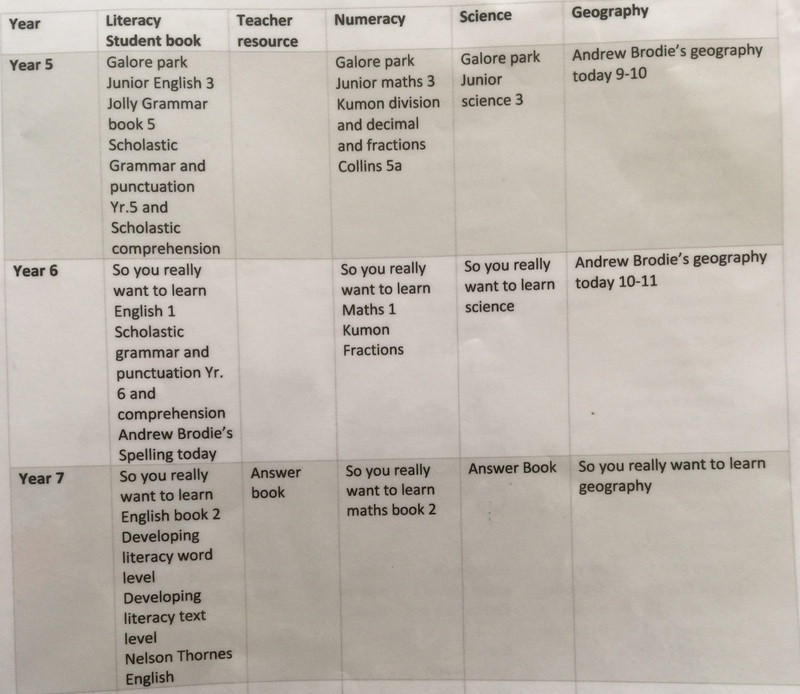 Just as our ‘Homeschool Planner’, we have taken a similar approach for the Students and made this planner flexible and personal. We understand the importance of being organised and planning ahead so having a planner/diary for both parents as well as the children available is very useful especially when it’s flexible and can be used anytime of the year and every year. This means no more waiting for new planners to become available last minute. We only hope that Allah brings us ease by this and great benefit. 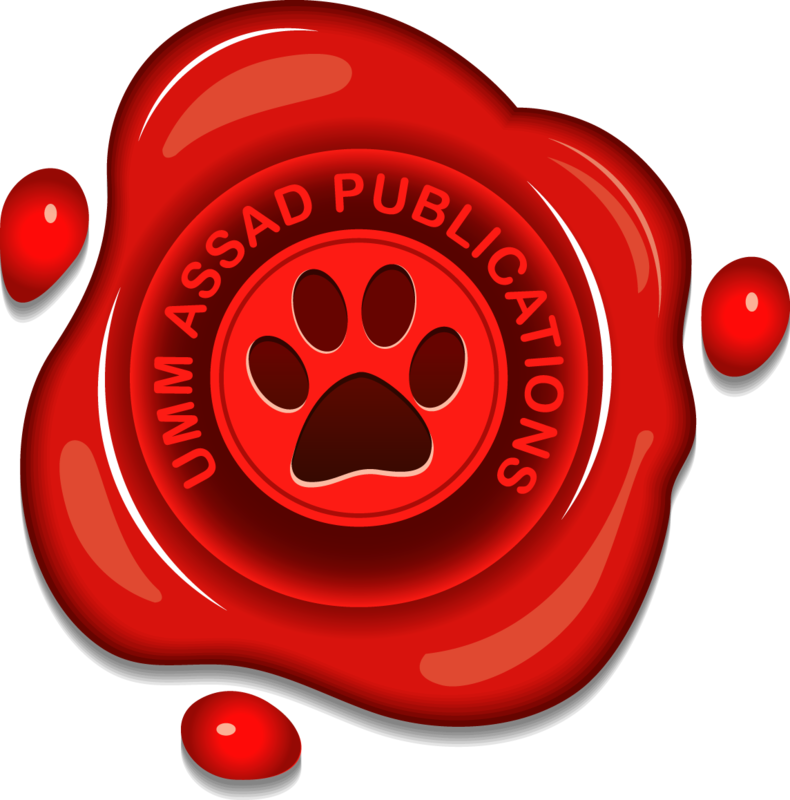 Download and Print it – Please adjust your printer settings to: A4 and ‘Borderless’, colour, two sides (back to back). For extra sheets, print according to your needs. Index Tabs (Optional) – Print the tabs on card, cut out each tab, sellotape each tab to the correct section (following the content as your guideline) upon its ‘Reminder Page’. *Please feel free to share or suggest any ideas in the comments below! 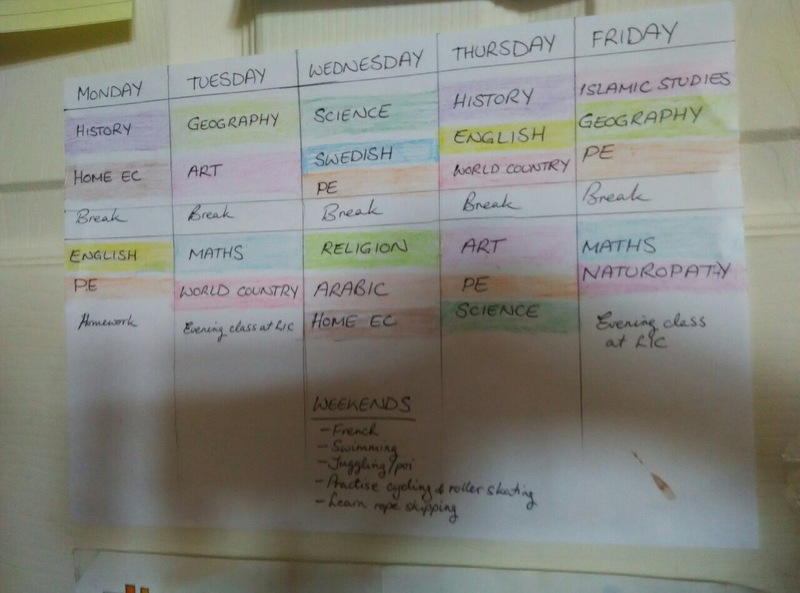 So you’ve heard it all before, successful homeschooling starts with being organised and planning ahead and if you fail to plan then you plan to fail. 1. 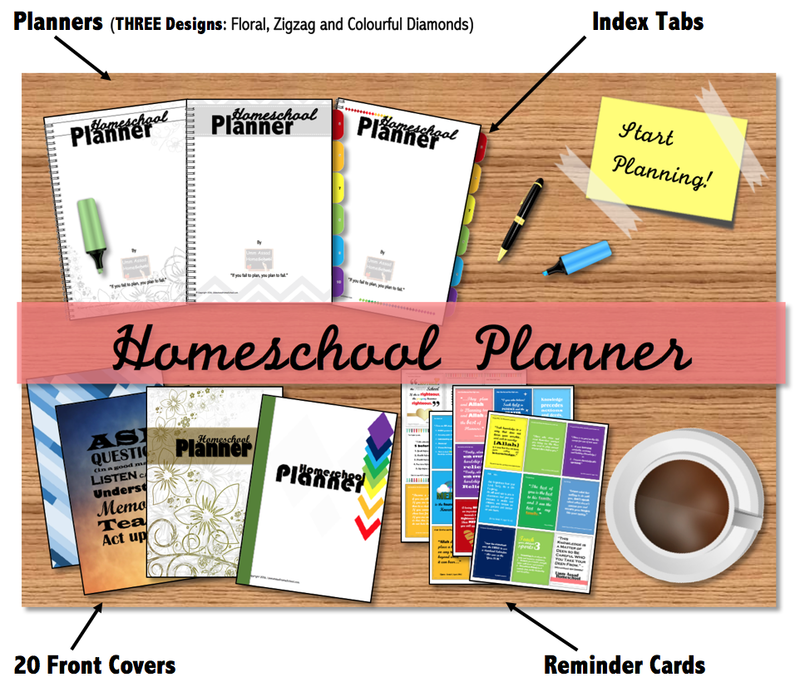 It’s FREE – If you’re like me then you’ve probably browsed high and low trying to find the most cost effective Homeschool Planner out there, only to find that they are too high in price or just don’t suit your homeschooling anyway. With this planner, you no longer need to worry about spending a penny at all. Plus forget about waiting last minute to purchase a new one for the coming year. Who wants to wait last minute to plan ahead. Which brings me to my next point! 2. It’s Flexible – You don’t need to wait for the next years planner to become available weeks or even days before. That’s right! 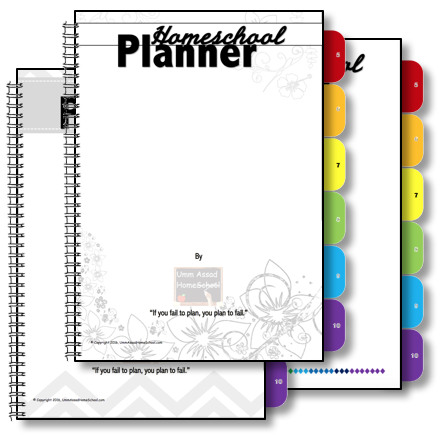 Say goodbye to last minute planning because this planner not only allows you to log in all your homeschool essentials, but it also gives you the option to input the date you choose with the provided spaces inside. All you need is a calendar which you will find inside for the past and future years to come both Gregorian AND Islamic inshaAllah. 3. 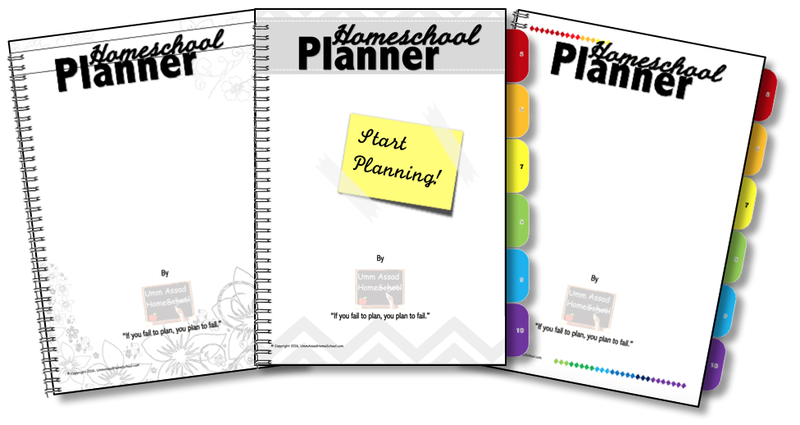 It’s For You – Because we care so much for our homeschool parents and know the importance of being organised, we especially designed this planner to suit most homeschoolers needs. There’s space to write your thoughts and to do/wish lists just for you and reminders to keep you going! And not everybody has the same taste in colours and style so as a bonus, you will find a selection of ‘Front Covers’ to choose from for your planner to suit your personality. You are not just a homeschooler, you are an amazing parent too and so much more so embrace that. 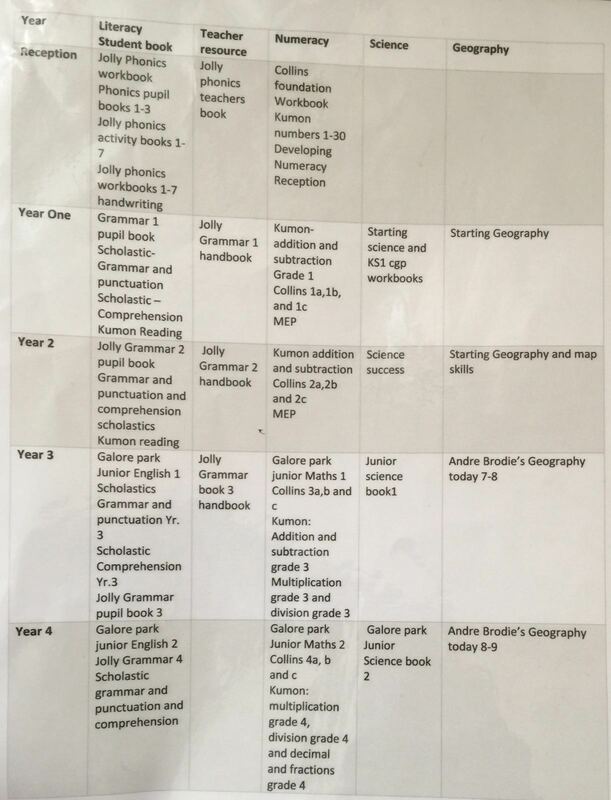 Print the full Homeschool Planner Adjust your printer settings to: A4 and ‘Borderless’, colour, two sides (back to back). 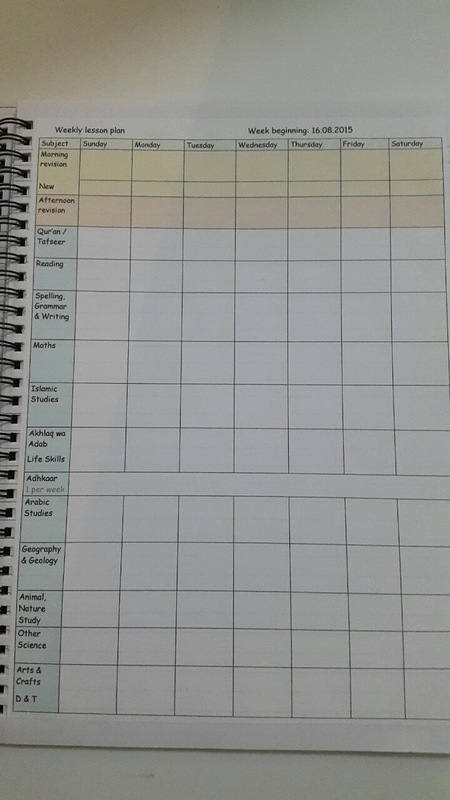 The planner is set for 1 or 2 students (for more than one student, print more sheets on the following; About my students, Attendance Form, Lesson Duration, Test Tracker and Book Log. For extra sheets elsewhere, print according to your needs. Index tabs (optional), Use the content page at the beginning of your planner for guidance. 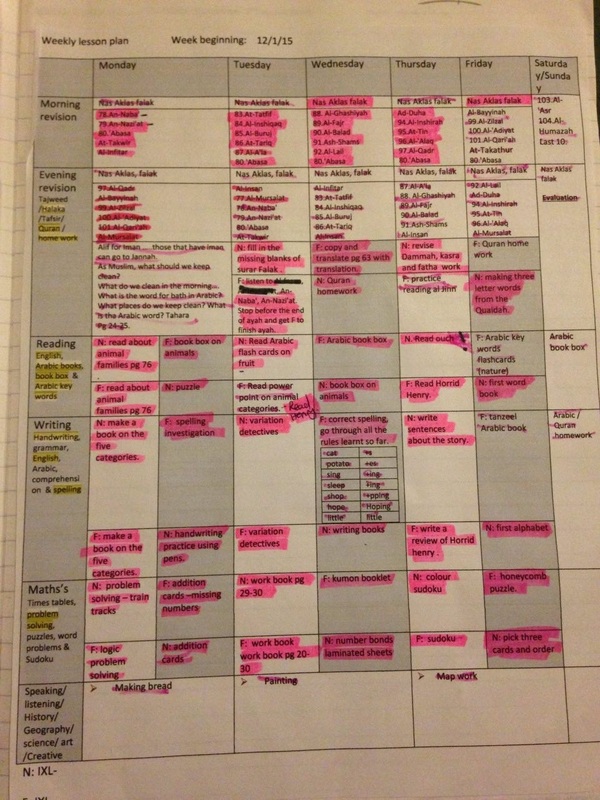 Option 2: Keep the content of the planner and use it as it is. Now, Print the tabs on card, cut out each tab, sellotape each tab to the correct section (according to your chosen content) upon its ‘Reminder Page’. Bind it at your local office supply shop, this should cost you around £5. Extras: Reminder Cards. These are mini size poster cards with all the reminders included in the planner. Simply print these on card and use as reminders for yourself or others. I have noticed, O eminent Shaykh, that there are many of the fathers who have been negligent in raising their children leaving them to engage in things which are of the highest level of detriment to them. Due to this, I seek from your eminence that you favor us by directing the fathers to give much importance to their children; especially in this time, may Allaah reward you with good. This which the questioner mentioned deserves attention, because watching over the children, males and female, and giving them attention and their Islamic cultivation is an affair which is from the most important matters. So this great Hadeeth indicates the obligation of giving importance to one’s flock. The greatest of responsibility in that is that of the Imaam who is over the people; and he is the Ameer of the Muslims and their Sultaan. It is obligatory upon him to watch over them regarding all that which contains their rectification and the safeguarding of their religion and giving attention to that which will benefit them in the Dunyaa as well as the hereafter in accordance to his ability and as much as he can. The greatest of that is to give attention to the religion so that they are upright upon it and that they cling to it; and that is by way of performing the obligatory duties and leaving the prohibited, as is obligatory upon everyone who is in charge of the affairs of the people to rules between them with the Sharee’ah of Allaah and to make them hold fast to the legislation of Allaah. And he is not to rule between them with other than the legislation of Allaah. So he who is placed in charge over the people is a shepherd and is responsible for his flock. We ask Allaah to give the leaders of the Muslims Tawfeeq in all that which contains their rectification and the rectification of the all Muslims. Likewise, every person is responsible for his household. So the father is responsible for his children and the mother is responsible for her children from the perspective of cultivating them Islamically and commanding them with the good and forbidding them from evil and making them cling to the truth and abandon that which opposes the legislation of Allaah. From that is the affair of the prayer; for it is the supporting pillar of Al-Islaam. So it obligatory upon the father to give attention to his children, and likewise the mother, so that they are upright upon the prayer and so that they safeguard it in the houses of Allaah along with the Muslims. The parents are included in this. Command your children to pray at seven and beat them concerning it at ten; and separate them in the bed. So the child, whether male or female, is to be commanded to pray when he reaches seven and beaten concerning it when he reaches ten. This is because at this point he has reached and drawn near to maturity. Then when he attains puberty is becomes individually obligatory and binding upon him; and he deserves, if he abandons it, to be commanded to repent; so if he repents then this is good otherwise he is killed by the leader of the Muslims. So the affair (of the prayer) is major. Hence, it is obligatory upon the fathers and the mothers, the elder brothers of the children, and their uncles to cooperate in this matter and strive hard in rectifying the children and cultivating them Islamically; and fro that is making them hold fast to the prayer and commanding them with it when they reach seven and beating them concerning it when they reach ten and fall short in that. Likewise, they are to be commanded with that which Allaah commands them with from righteousness toward their parents and safeguarding the tongue from abuse, cursing, and lying, and other than that from sins, from that which Allaah the Mighty and Majestic has prohibited. Likewise, that they are prohibited from consuming intoxicants and smoking so that they will not grow up upon this falsehood. He who directs to good will have the likes of the reward of the one who does it. 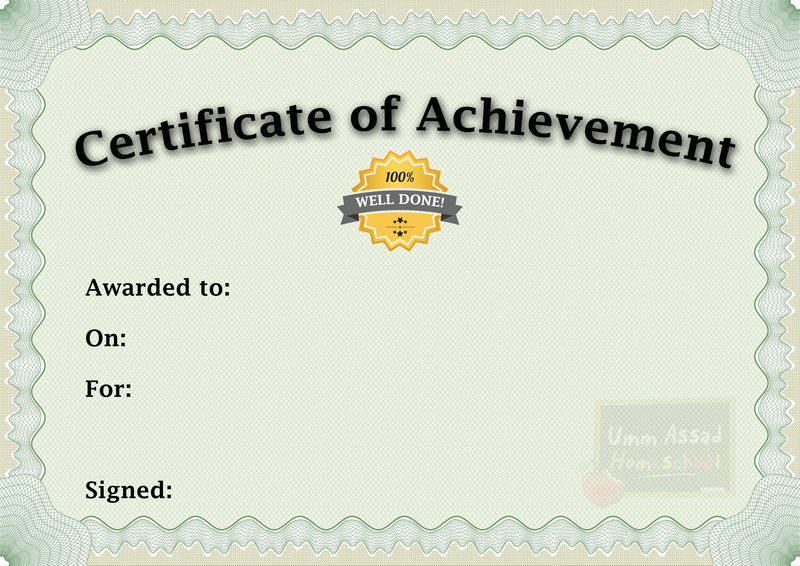 This is from the bounty of Allaah the glorified and High. We ask Allaah, on behalf of all, for Tawfeeq and guidance. With all the talk about routines and schedules, it seems that there are more tasks to complete throughout our day than we have time for. Routines are more about our etiquettes and lifestyle throughout our days and week, a certain action that we implement on a regular basis regardless of its time; whereas Schedules are more of a structured plan that is set at a specific time. 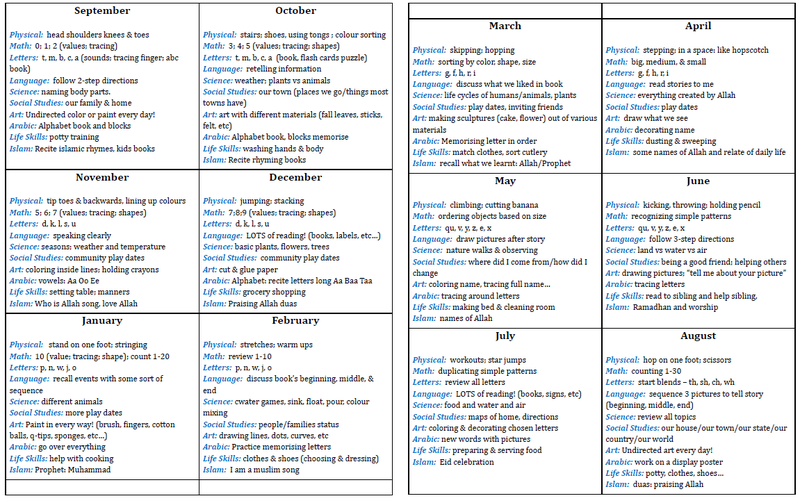 An example of a routine is ‘I read at least once a day’, and an example of a schedule is ‘I read everyday at 8am’. I personally believe that everyone can benefit from a regular routine that they can use as a guideline (morning, afternoon and evening) but not everyone can work well with a schedule. I also believe in not being afraid to break routines to fit in higher priorities once in a while, yet the earlier we have a routine the better we can adjust. 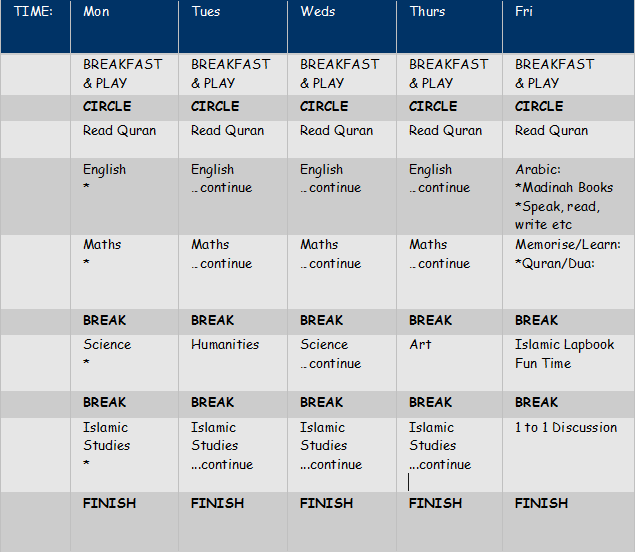 Below are a few timetable samples that I collected from some lovely homeschooling mothers that were happy to share, May Allah Ta’ala reward them generously for their efforts. Ameen.